Recently, Israeli archaeologist Eilat Mazar and her team made a stunning discovery during excavations in Jerusalem. 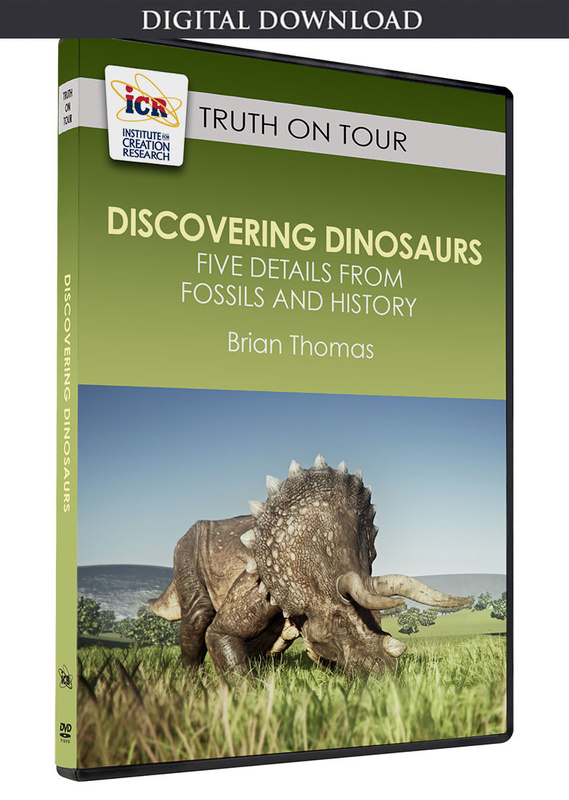 It provides strong support for the reality of Isaiah and his Old Testament world. 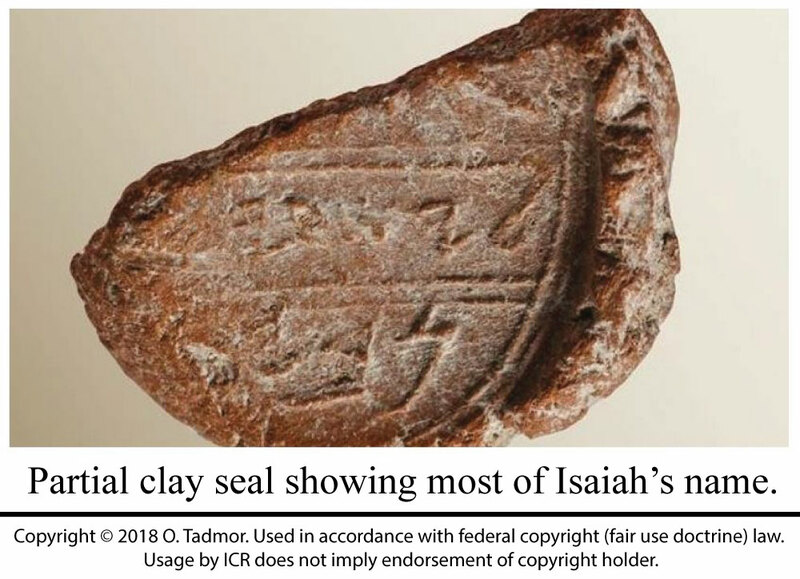 Digging at the base of the southern wall of the Temple Mount, the team found a clay seal bearing Isaiah’s name. Mazar provided a transliteration of this Isaiah bulla in Biblical Archaeology Review as “Yesha‘yah[u] Nvy[? ],” where brackets indicate unknown letters from damage to the clay.1 “Yesha‛yahu” is “Isaiah.” If the Hebrew letter aleph stood in place of the missing letter “[? ],” then the word after “Isaiah” would spell “prophet.” Possibly the hand of Isaiah himself formed this seal. 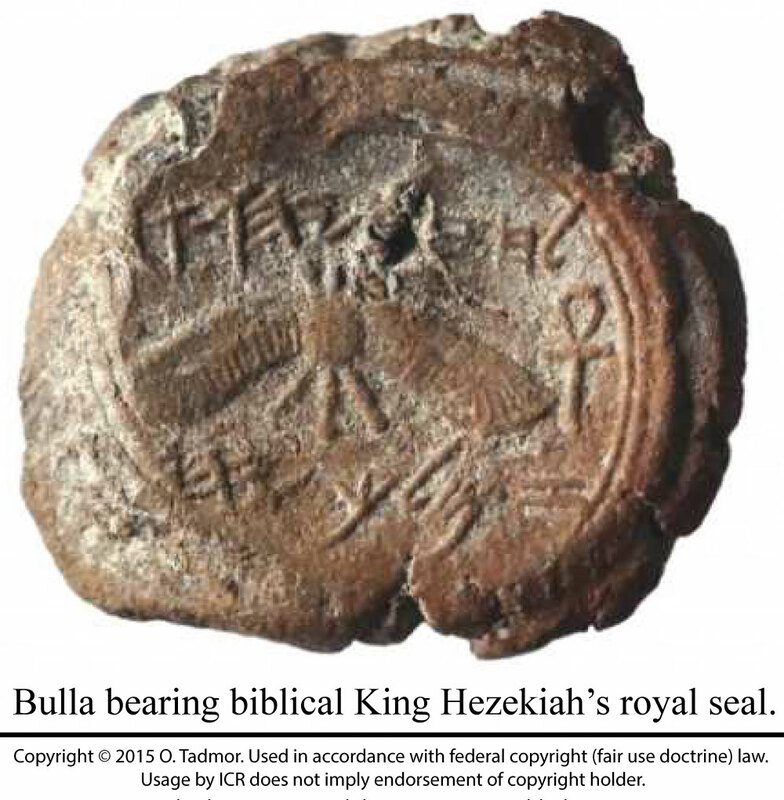 In 2015, only ten feet away, the team had found a clay impression called a bulla bearing King Hezekiah’s seal.2 According to the Bible, the prophet Isaiah served during Hezekiah’s reign and interacted directly with the king. The archaeological layer containing both the Hezekiah bulla and now the Isaiah clay seal occurs below Byzantine and early Roman debris. This matches the biblical time of Hezekiah’s reign, which lasted from 729 to 687 BC.3 Thus, these two artifacts found together confirm the fact that those Old Testament figures really lived at the time the Bible says they did. These two artifacts found together confirm the fact that those Old Testament figures really lived at the time the Bible says they did. These two bullae wreck decades of Bible-doubting scholarship. For example, skeptics have long claimed that unknown authors compiled the book of Isaiah sometime during the Babylonian captivity—centuries after the biblical time of Hezekiah’s life and reign. Supposedly, collections of scribes somehow borrowed from Babylonian myths to fabricate biblical events from the beginning of the world through the time of Kings. But poor scholarship underlies these speculations. Perhaps the unbiblical, and now archaeologically-inaccurate, assertion that Isaiah did not exist conveys a desire to thwart precise prophecies of Jesus. Before these tandem discoveries, those who accepted Isaiah as a real prophet had the New Testament to verify Isaiah’s prophetic words. Now, they have the New Testament plus a couple of profound pieces of archaeology. Mazar, E. 2018. Is This the Prophet Isaiah’s Signature? 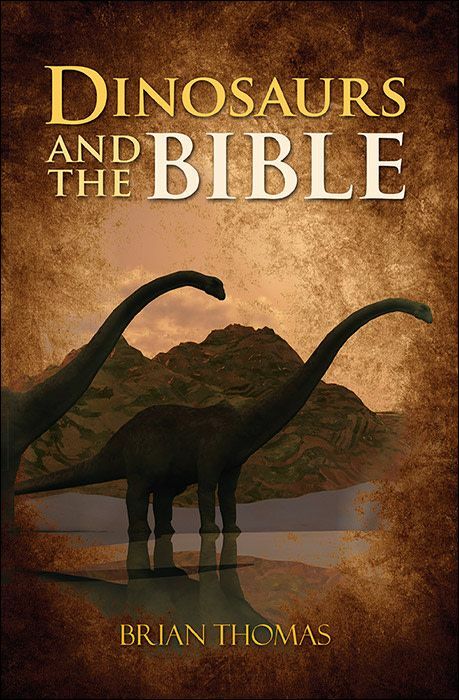 Biblical Archaeology Review. 44 (2): 64-73, 92. Impression of King Hezekiah’s Royal Seal Discovered in Ophel Excavations South of Temple Mount in Jerusalem. The Hebrew University of Jerusalem News. Posted on new.huji.ac.il February 12, 2015, accessed February 23, 2018. Steimann, A. E. 2011. From Abraham to Paul. St. Louis: Concordia Publishing House. 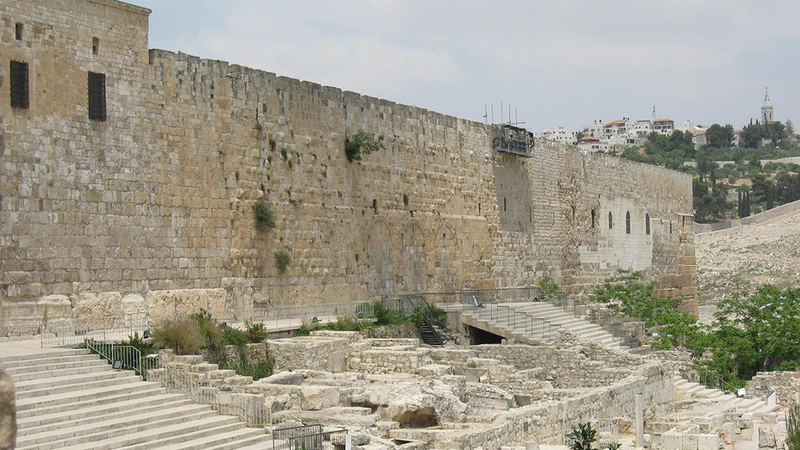 Stage Image: Southern wall of th eTemple Mount in Jerusalem. Stage Image Credit: Wikipedia © 2009. O. Rozen. Used in accordance with federal copyright (fair use doctrine) law. Usage by ICR does not imply endorsement of copyright holder.